Maybe your first exposure to a thumbprint or blossom cookie was a treat made by family or friends or picked from a local bakery case. Maybe it was a light, vanilla flavored cookie with a filling of raspberry jam, or possibly it was a more substantial cookie base, flavored with peanut butter and topped with a chocolate drop like a Hershey's Kiss. No matter how you first came across these desserts, they're a great addition to a variety of personal and professional menus. Let's look at some delicious recipes for these cookies that Boulder pastry school students can easily start using, as well as learn a little more about them. 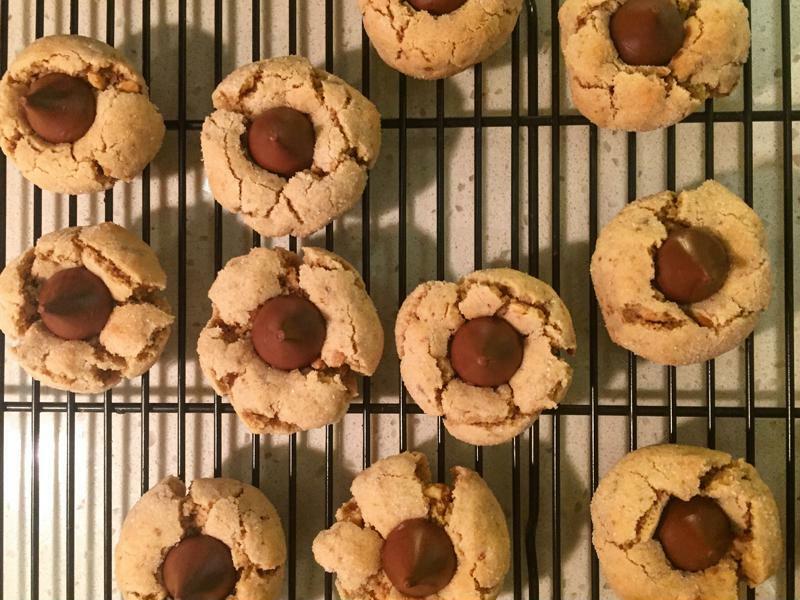 Blossom cookies are a chocolatey favorite for eaters young and old. A thumbprint cookie is an Americanized version of a Swedish favorite, called hallongrotta, according to Plated. The Swedish name translates to raspberry cave, a reference to the type of jam traditionally used to fill the fingertip-sized depression in the treat. Although tied to the winter holiday season and a specific type of filling, you can use a basic recipe as an opportunity to experiment. Different jams, jellies and marmalades can be used, and you may even decide to branch out to try a number of other fillings, from lemon curd to a hazelnut spread like Nutella. A blossom cookie, meanwhile, often refers to a somewhat more substantial peanut butter cookie that includes a large chocolate drop or chip in the center. Featuring a depression in the center to hold the filling and being relatively small compared to other types of cookies is where blossoms and thumbprints share some important similarities. You can put your own spin on these cookies by using other flavors besides peanut butter in the cookie base as well as swapping out the standard milk chocolate drop in the center with a variety of other chocolate varieties, or even drops that have their own flavored, filled center. Martha Stewart shared a blossom cookie recipe that emphasizes some of the best parts of this treat. It mixes sweet and salty flavors and uses a large, singular piece of chocolate that has to be supported by the taste of the cookie alone during the first bite or two. The presentation, with the cookie forming a sort of irregular, circular hill around the chocolate drop's depression, is also addressed. The prep work involves a few hours, thanks to the need to both refrigerate and freeze the dough prior to baking, but the active time involved is relatively small. You should pay particular attention to rotating the pans halfway through the baking process. Add the chocolate drop as soon as the cookies are pulled from the oven with lightly cracked and puffed tops. The Food Network offered a traditional thumbprint cookie recipe that can be made as is or experimented with to create a more unique final product. Without being too precise in portioning the dough, you enjoy a more rustic, homemade appearance that ties into the cookie's origin. The need for precision and constant monitoring is also reduced, as this approach adds the jam right before baking – you just need to alternate the baking tray position halfway through the time in the oven to achieve even coloration on the cookies. Once you master the basic recipe, consider trying different jams, as well as using glazes and additional flavors in the dough.